After the sudden death of their criminal husbands, the widows are forced to carry out a heist of their own. After the incredible success of the Oscar winning 12 Years A Slave, director Steve McQueen has turned his attention to the criminal underground of Chicago. Based on Lynda La Plante’s novel and having already been turned into a television series in the 80s, McQueen delivers a gripping action thriller with a first rate cast. The story sees a criminal gang involved in a heist, which goes horribly wrong, resulting in their deaths following their van exploding. Their widows are subsequently left with plenty bills to pay, and enemies of their dead husbands demanding their dues, so they band together and decide to pull off a heist based on their husband’s notes. 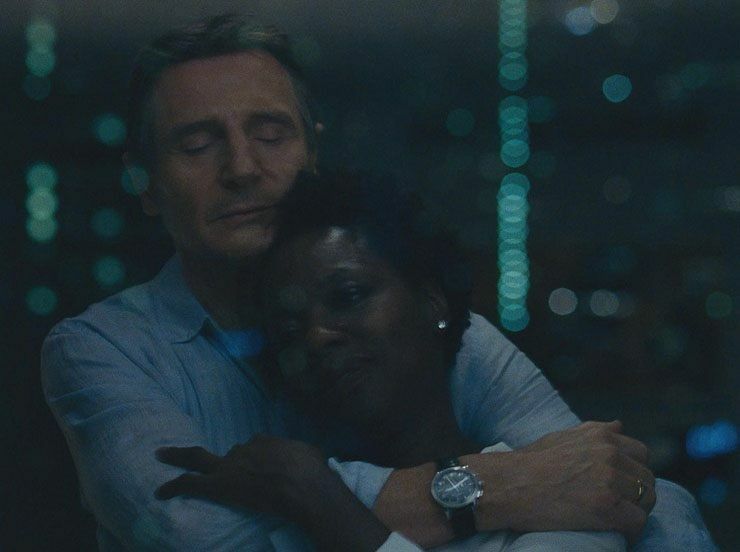 After an exhilarating opening sequence involving Liam Neeson and Jon Bernthal as the heist gone wrong, Steve McQueen’s movie settles into a fascinating and tense drama with ostensibly three leads – Viola Davis, Michelle Rodriguez and Elizabeth Debicki – all of whom delivers outstanding performances full of resolve and vulnerability, with perhaps Debicki the pick of them. A chilling role from the ever impressive Daniel Kaluuya is also worthy of note. A big budget upgrade on the TV series, with some outstanding performances, but perhaps a little predictable.